Dimensions 1.75 by 4.25 by 6.75 in. The epic conclusion of the Otherland saga journeys back to the bizarre world of virtual realities in which the characters discover a multifaceted pathways to immortality, which could be available if one is willing to pay a dangerous price. By the author of City of Golden Shadow, River of Blue Fire, and Mountain of Black Glass. Reprint. Amazon.com description: Product Description: A group of adventurers searching for a cure for comatose children find themselves trapped in a sequence of virtual worlds, the only opponents of a conspiracy of the rich to live forever in a dream. Now, they are forced to make an uneasy alliance with their only surviving former enemy against his treacherous sidekick Johnny Wulgaru, a serial killer with a chance to play God forever. 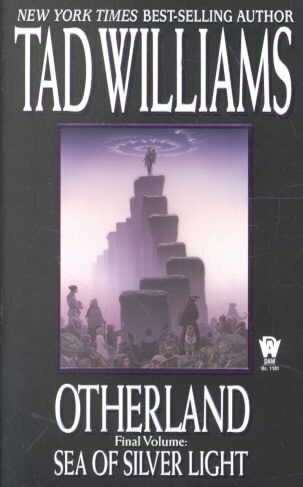 Few science fiction sagas have achieved the level of critical acclaim-and best-selling popularity-as Tad Williams's Otherland novels. A brilliant blend of science fiction, fantasy, and technothriller, it is a rich, multilayered epic of future possibilities. About: The conclusion of the Otherland saga journeys back to the bizarre world of virtual realities in which the characters discover multifaceted pathways to immortality, which could be available if one is willing to pay a dangerous price.